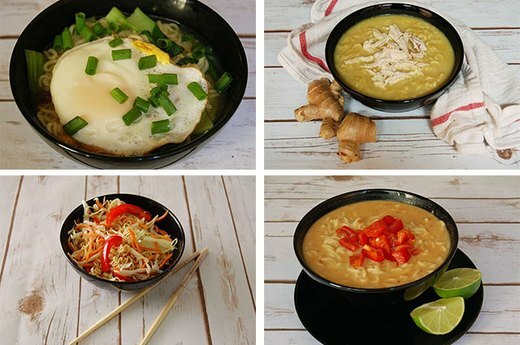 When you are on a tight budget, Top Ramen and other instant noodle soups are a dinner godsend. They usually cost less than a bag of chips, take about 10 minutes to cook, and bring all the comfort of a hearty bowl of soup. The problem is they are jam packed with sodium, carbs and not much else, ensuring that you will be hungry in the short term, and terribly bored of them in the long term. 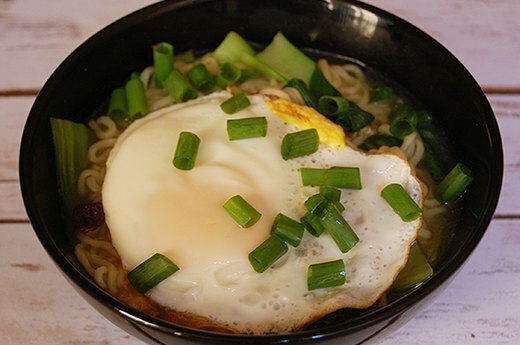 If you really love the taste of instant ramen and don't need too much in the way of variety, then this recipe is for you. Incorporating vegetables counters the saltiness and adds a few nutrients to your dinner. And the egg provides an inexpensive and easy source of protein to keep you full.